Most—but not all—debts are written off, or “discharged,” in a bankruptcy case. Is there a simple way to know what will and what will not be discharged? There is nothing more basic than bankruptcy’s main purpose, getting a fresh financial start through the legal discharge of your debts. 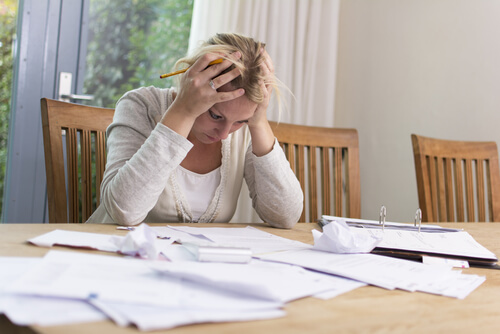 Both kinds of consumer bankruptcy can discharge debts. But most Chapter 13s tend to have other purposes as well, and the discharge usually occurs only 3 to 5 years after the case is filed. In contrast, most Chapter 7 “straight bankruptcy” cases are filed for the sole purpose of discharging debts. And in most Chapter 7 cases, all debts that the debtors want to discharge are discharged, and it happens within just three months or so after your case is filed. So I’m focusing in this blog on Chapter 7 discharge of debts. So is there a simple way of knowing what debts will and will not be discharged in a Chapter 7 case? I can give you a list of the categories of debts that can’t, or might not, be discharged (and will give you that list in a couple paragraphs), but some of those categories don’t have clear boundaries, and some depend on whether a creditor is going to challenge the discharge and how a judge might rule. But why can’t it be simple? Because in the political tug of war between creditors and debtors over the last few centuries, there have been lots of compromises, leaving us today with a bunch of hair-splitting rules about what debts can and can’t be discharged. Believe it or not, the original bankruptcy laws in England did not even include ANY discharge of debt, since bankruptcy was originally designed as a procedure to help creditors collect from debtors. #1: All debts are discharged, EXCEPT for those that fit within an exception. #2: There ARE a lot of exceptions, BUT if you are thorough and candid with your attorney you will almost always know whether you have any debts that may not be discharged. Surprises are rare. #3: Some debts are never discharged, NO MATTER WHAT: for example, child or spousal support, criminal fines and fees, and withholding taxes. #4: Some debts are never discharged, but THAT’S ONLY IF the particular debt fits certain conditions: for example, income taxes, depending on conditions like how long ago the taxes were due and the tax return was filed; and student loans, as long as conditions of “undue hardship” are not met. #5: Some debts are discharged, UNLESS timely challenged by the creditor and resulting in a ruling by the judge that the debt meets certain conditions involving fraud, misrepresentation, larceny, embezzlement, or intentional injury to person or property. #6: A few debts (used to be many more) can’t be discharged in Chapter 7, BUT can be in Chapter 13: for example, divorce debts other than support. The bad news: as simple as I would like to make it, determining what debts aren’t dischargeable is simply not simple. But there’s more good news than bad. First, for many people all the debts they want to discharge WILL be discharged. Second, an experienced bankruptcy attorney will be able to predict quite reliably whether all of your debts will be discharged. And third, if you have troublesome nondischargeable debts, Chapter 13 is often a decent way to keep those under control. More about that a couple blogs from now about simple Chapter 13.